Product prices and availability are accurate as of 2019-04-20 12:18:08 UTC and are subject to change. Any price and availability information displayed on http://www.amazon.com/ at the time of purchase will apply to the purchase of this product. 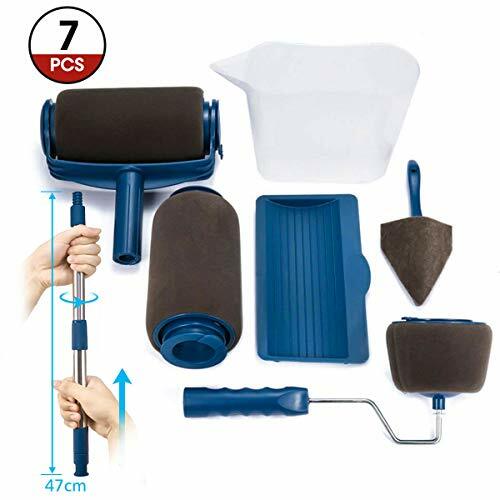 ?With the Flocked Edger you can paint right up against light switches, window sills, skirting boards and plug sockets without any need for masking tape. ?And with the BONUS Corner Cutter you can paint right into those difficult corners without any uneven and unsightly brush strokes. ?Take all of your decorating plans off hold and paint a wall in 5 minutes or an entire room in 20 - all with no mess and no fuss! ?Warning: Do not exposure the brush under the sun too long , otherwise the plastic brush will become brittle easily. ?WONDERFUL All IN ONE KIT? Total 9 piece! 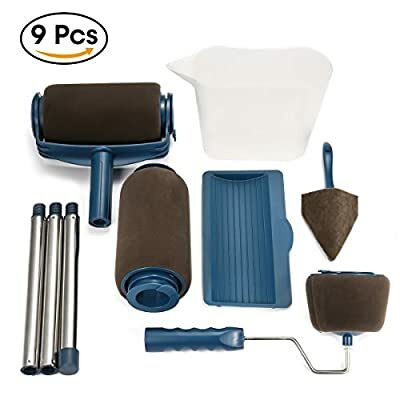 2 Paint Runner Pro(1 replacement), 1 Flocked Edger, 1 Corner Cutter Painter, 1 Resting Tray, 1 Easy Flow Paint Pour Jug, 3 Extensible Threaded Poles. Save time and money, less wastage, skip the mess of traditional paint rollers. No pre time, no drop sheets, no masking tape, just simply pour in, snap on the lid and begin to paint any walls or surface in a few minutes. ?EXCELLENT PAINT ROLLERSs? 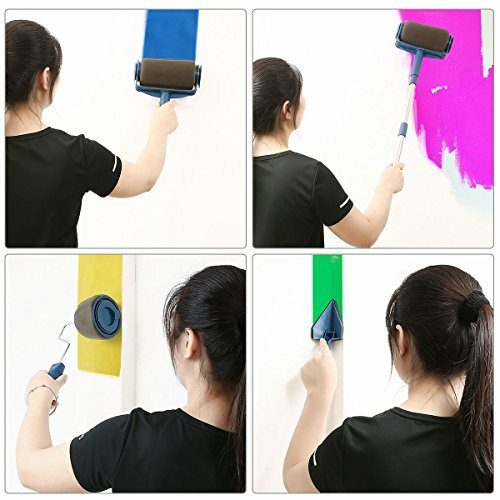 The Paint Runner Pro is for painting large surface, such as wall, door, floor, ceiling, roof. The Flocked Edger is for painting narrow surface, such as door frames, window sills. 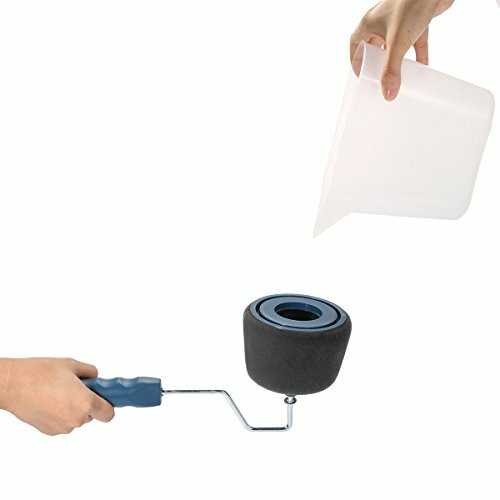 The Corner Cutter Painter is for painting corners or edges. ?PERFECT POLES? There are 3 extensible threaded poles, you don't need to climb up and down ladders when painting. You just need to assemble the poles together tp reach high places. The length of each is 9.8 inch and is customized and perfectly match with the pole adapter. ?LONG LASTING QUALITY? The material of the brush is Super Fine Flocked, they are washable and reusable. Wash the roller after painting,dry it and store in cool dry places. ?GUARANTEE? ARTISTORE provides 60 days money back guarantee. If you are unsatisfied with this product for any reason, please just let us know and we will refund your purchase right away.